According to Buzzfeed‘s Alex Kantrowitz, social media has evolved from being one-to-one to many-to-many. One-to-one involved platforms like instant messaging and email, after which it progressed to one-to-many, as in platforms like Twitter and Facebook. One-to-many platforms offered users the ability to make broad announcements without having to carbon copy everyone or re-send the same messages over and over. The problem with the one-to-many communication is it lacked in privacy and exclusivity. For example, not everyone on Facebook would care about the goings-on of a book club or neighborhood association. To this end, many-to-many communication started and evolved from Facebook and LinkedIn Groups to platforms like Nextdoor, HipChat, Yammer and Slack. Currently, most many-to-many communication platforms are small but growing. 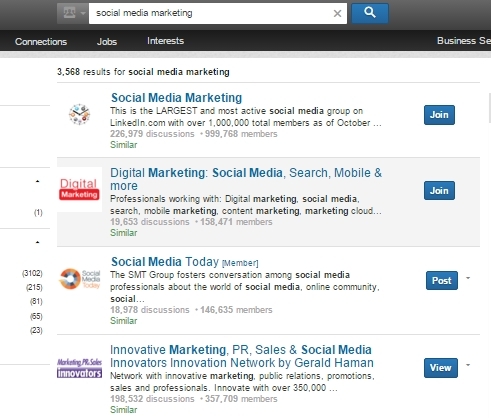 However, LinkedIn Groups has been around since 2004, and Facebook Groups has existed since 2010. Both platforms have had enough time and traction to grow: Facebook Groups has over 925 monthly active users, while LinkedIn has over two million groups. Due to the critical mass of both Facebook and LinkedIn Groups, you are best served by using one or both platforms to find and grow your audience. 1. Search for and join relevant groups. 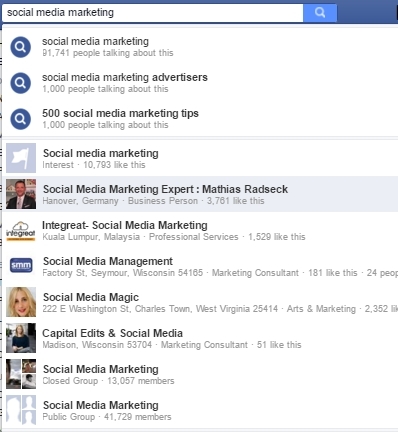 In this search results listing, not only are thousands of people talking about what you just searched on, but there are at least two Facebook Groups you can consider joining. 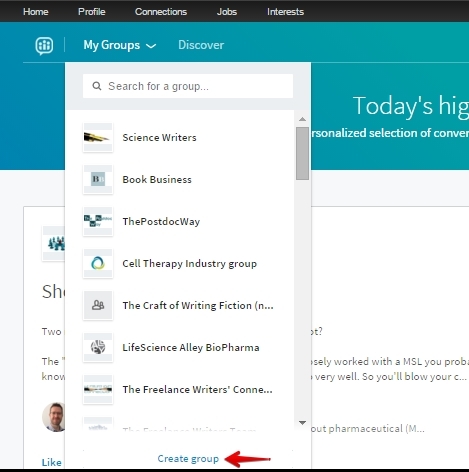 On LinkedIn, you can search for relevant Groups through the Interests tab on your account. Once there, click on ‘Discover’ to learn more about those groups that have interests similar to yours. You can also search on groups by selecting them in the search input area, then inputting your search terms. 2. Network within your groups. Your first goal, once you’ve been accepted into your Facebook and/or LinkedIn Groups, is to be of service to others. To accomplish this goal, be truthful and helpful and don’t engage in any kind of overt promotional activity. You can, however, direct people to your Facebook/LinkedIn page or website for additional information if it helps answer their questions or resolve their difficulties. As you find yourself delving into your groups, keep tabs on what kinds of inquiries or issues are most commonly discussed amongst members. Use this information to generate white papers, pillar articles, podcasts and webinars. Announce that you have these pieces of collateral on your website, which will help generate traffic to your website. Once that traffic reaches your website, provide additional incentives for it to sign-up to your email list. 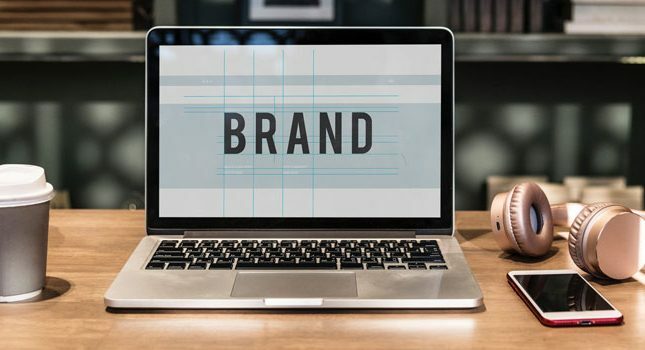 As you build credibility within your groups and your email list grows, you can occasionally use these platforms to market your events, products and services. However, as opposed to openly advertising that you are selling product/service X, you can “wrap” your product/service in the guise of a presentation or blog post. In other words, you should try to limit outright promotion and instead provide value for your audience. Such efforts will result in connections, referrals and, eventually, your own audience. 3. Promote your events, products and services- carefully. It’s OK to actively promote your events, products and services within your Facebook and LinkedIn groups- if you satisfy the conditions set above. This means not using these platforms strictly for promotions, but actively helping group members. 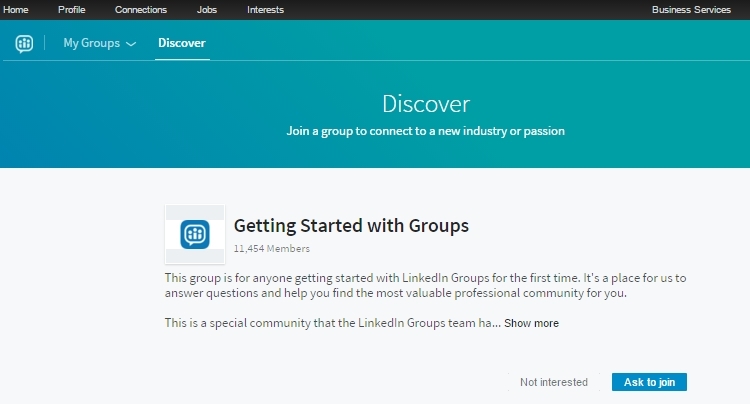 In fact, to further this end and reduce spam, LinkedIn recently removed the promotions tab from its groups area and made all groups closed (i.e., require approval to join). Don’t forget to read and follow group rules, which may limit how you present your promotion. Also, rather than blasting group members with 10 different promotions at once, try announcing just one specific event or product and see what kind of response you get. If there’s little interest or even negative feedback, you’ll need to rethink your approach. Once you achieve significant notoriety within your existing Facebook and/or LinkedIn Group, you may consider creating a group of your own. The reasons for this are several, including direct control over the subject matter and member requests to join, and the opportunity to name your group. 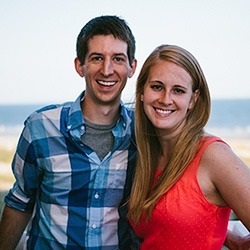 Both Facebook and LinkedIn offer fairly easy ways to generate your own group. Should you create a group on Facebook or LinkedIn- or on both platforms? These questions will be answered as you find your audience within each platform- or not- and judge how relevant it’s been to your own efforts. Facebook offers a more informal approach to raising topics, which may be easier for your long-term networking. On the other hand, LinkedIn features more professionals and can offer higher dividends per connection. 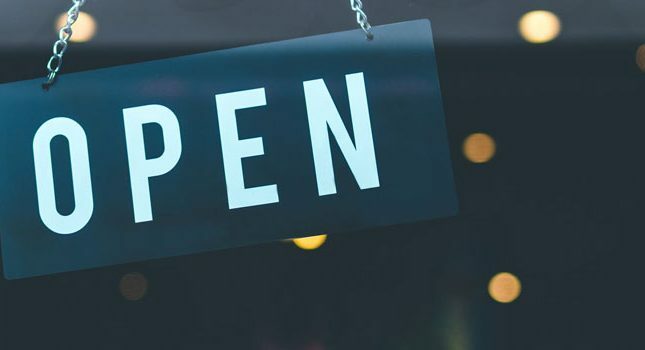 As social media progresses to a small groups format, you can take advantage of this evolution to not only find and grow your audience of like-minded individuals, but to even strategically promote your events, products and services. The key to accomplishing this successfully is to go slow and build a strong network first, and then to intersperse your marketing.